The New York Times may have buried the news on A6 but the European Day of Action yesterday did mobilize millions of workers, from Spain to Brussels, in opposition to the new austerity measures. The Sacramento Bee [ht: rw] posted 36 images of the protests. Like the rest of the country, the people in Chicago, Cook County, and the surrounding municipalities are suffering in the current depression. Like the rest of the country, the Chicago area experienced heavy job losses, home foreclosures and lower median household incomes from 2006 to 2009, which forced some people out of their comfortable lifestyles into homeless shelters, food banks and unemployment lines. 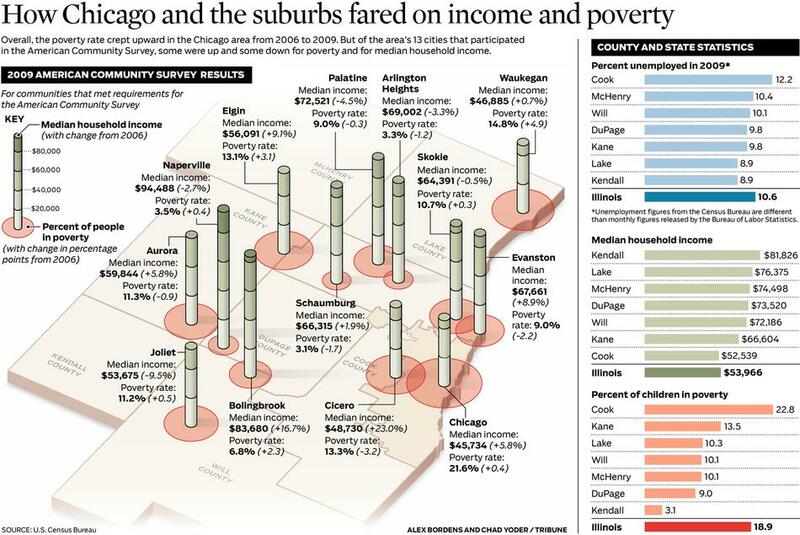 The rates of poverty and unemployment increased, while the median income declined, in most Chicago-area counties. 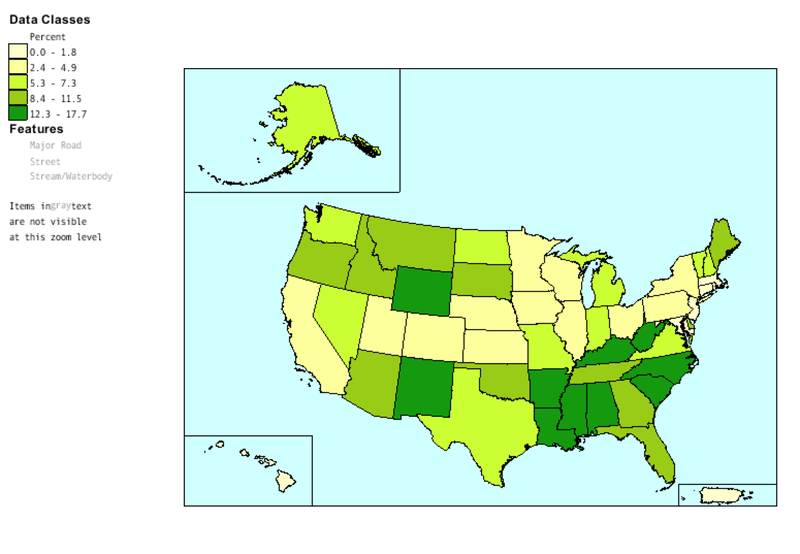 In Cook Country itself, the rate of unemployment rose to 12.2 percent in 2009 while percentage of children living in poverty rose to 22.8. The Salvation Army in Chicago noted a change in its clientele in the latter part of 2008. The City of Big Shoulders is now hunched over under the weight of the current depression. 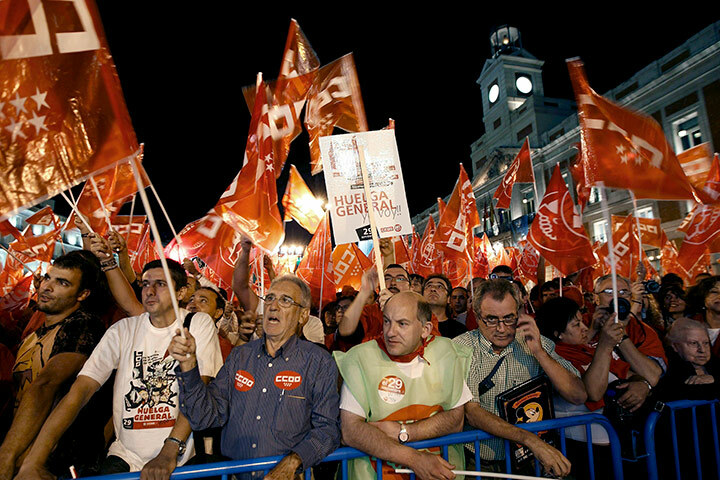 Spanish workers delayed their general strike against austerity measures—including the new labor law—to coincide with the European Day of Action. 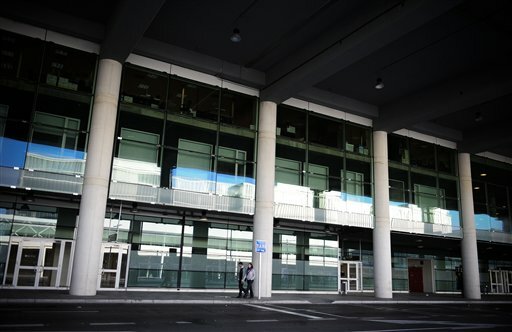 The new labor law includes cuts in severance pay, with the excuse that they will lead to lower unemployment. However, new research demonstrates exactly the opposite. Countries with low levels of severance pay suffer on average twice the size of the drop in employment growth than countries with very high severance payments (Figure 2). It would seem that firms find it more profitable to adjust to a negative shock through lay-offs when severance pay is low. 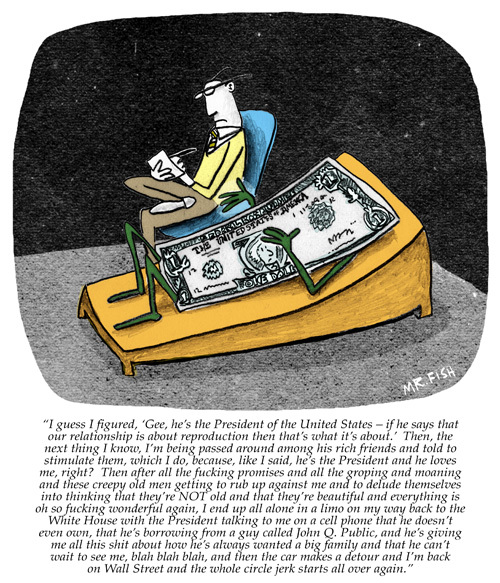 If severance pay is high, firms revert to other means of adjustment. These could include reductions in wages or working time. Spanish workers know this, too—which is why, in the midst of 20 percent unemployment, millions of them have taken to the streets today. 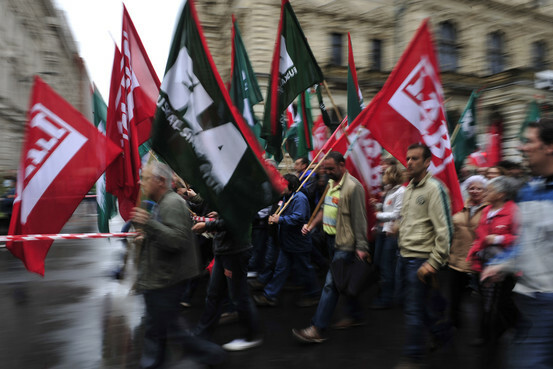 Today is the previously announced European Day of Action against the imposition of austerity measures. 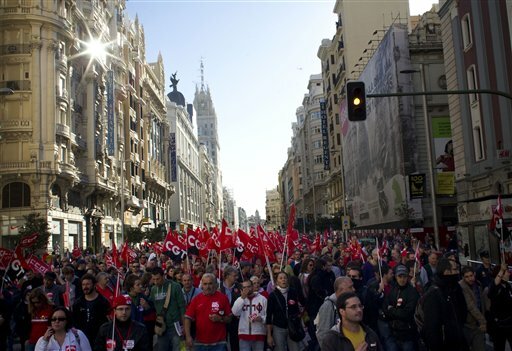 There’s a general strike in Spain, the first in 8 years, involving 10 million workers. Additional protests are being staged in Brussels, Dublin, Lisbon, Rome, Paris, Riga, Warsaw, Nicosia, Bucharest, Prague, Vilnius, Belgrade, and Athens. According to the Associated Press, police stand beside a cement truck which rammed the front gates of the Irish Parliament in Dublin today. A cement mixer rammed into the gates of the Irish parliament in an apparent protest at the country’s catastrophically expensive bank bailout. 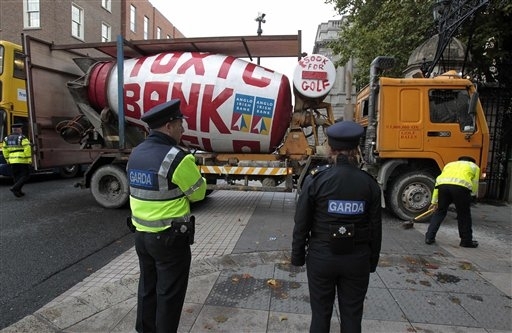 Written across the truck’s barrel in red letters were the words: “Toxic Bank Anglo.” It is an apparent reference to Anglo Irish Bank, which was nationalized last year to save it from collapse.